Around 90 percent of the world's 67 million domestic workers have no access to social security protection, with migrants left particularly vulnerable, the International Labour Organization said Monday. 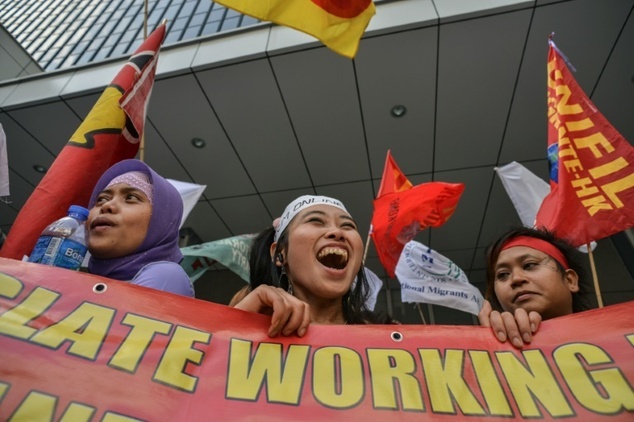 Domestic work is largely "undervalued and unprotected," the UN labour agency said in a new report. "When domestic workers become old or injured, they are fired, without a pension or adequate income support," said Isabel Ortiz, head of the ILO social protection department. The report noted that women were by a wide margin the most affected -- accounting for 80 percent of all domestic workers globally. In Italy, roughly 60 percent of domestic workers are excluded from social security systems, the report said. The same was true for 30 percent of domestic workers in France and Spain. Not surprisingly, the largest gaps in protection for domestic workers were most severe in developing countries. For migrants seeking domestic work, including those flocking to Europe amid the current massive movement of people towards the continent, labour protection is especially rare. Certain countries which have legally mandated social security systems for domestic workers specifically exclude migrants from those programmes, the ILO said. Ensuring social protection for domestic workers is challenging, the report said, in part because of the extremely high turnover and because many in the sector work for multiple employers under informal arrangements. "There is no single protection model that works best for domestic workers everywhere," said Fabio Duran-Valverde, the ILO's senior economist. "But mandatory coverage (instead of voluntary coverage) is a crucial element for achieving adequate and effective coverage under any system."